But! 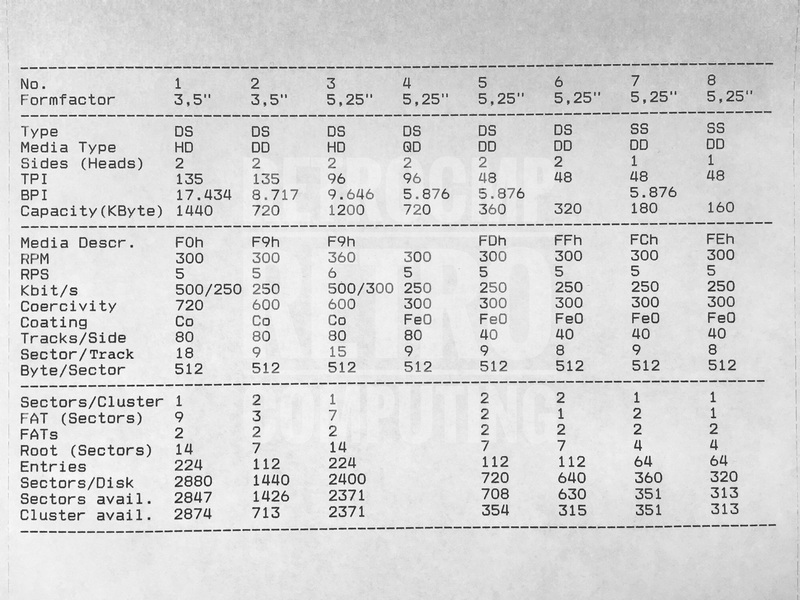 In this list three 8 inch formats are mentioned, but these formats were never used in IBM PC, XT, AT or compatible computers and were not supported by PC or MS-DOS. The FORMAT and DISKCOPY commands do not support 8-inch drives, because they only support 512 bytes/sector! A comprehensive list of floppy disk drives. And here is a pdf version of my personal spreadsheet of the various floppy disk formats. Floppy disk formats supported by PC- and MS-DOS (not No 4). A brief abstract about "All Those Floppy Disk Formats ..." by Tim Patterson, the "Father of DOS".